Today, we have a marriage of Spain, as seen in the photo from Cap de Formentor, above, and France, below. Followers may know that I like to play with shop windows, and the reflections to be found therein. 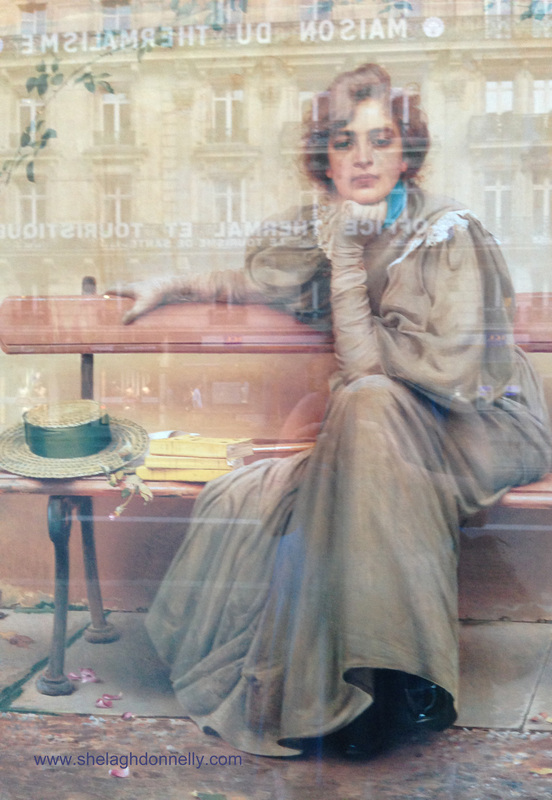 Below, we have a poster found in a shop not far from the Paris Opera House (Palais Garnier), with its reflection of the Maison del Thermalisme across the street. This, naturally (or not), led me to wonder whether the subject of the poster just might be contemplating how lovely it would be to escape the city for a trip to the sea … and perhaps the breaktaking blue waters of the Mediterranean.